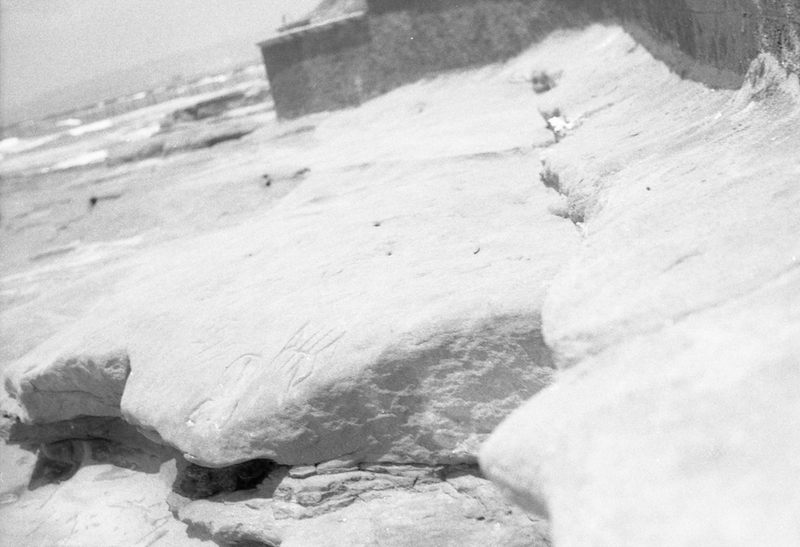 The Corner of Sunset Cliffs Blvd and Newport Ave, looking west toward the beach. Newport Ave is the main shopping street of Ocean Beach, Ca. 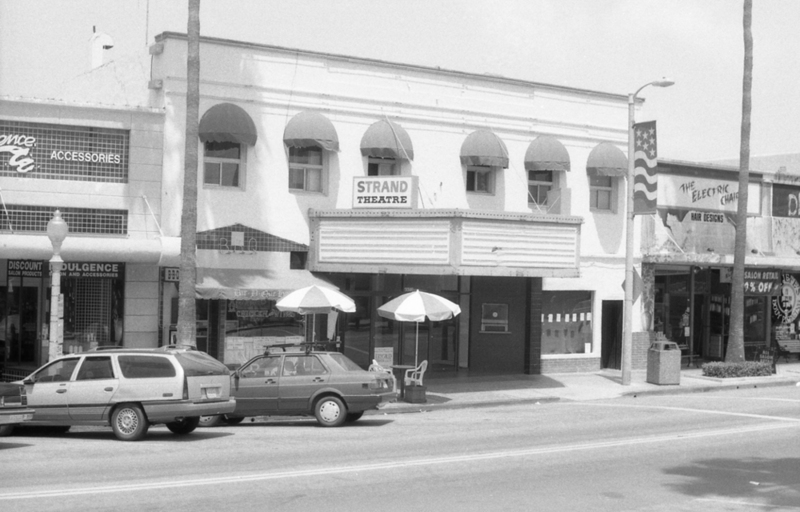 The Strand used to be the local movie theater. It opened it's doors November 6 1925. 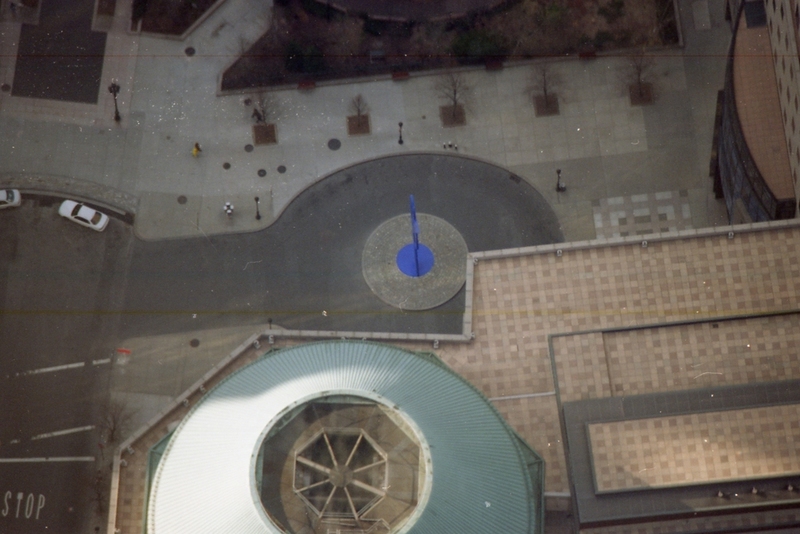 It closed for good in the fall of 1998. One of the last movies shown was "The Truman Show". Five years later, after the inside of the building was gutted, Wings opened as a store for tourist souvenirs. Sunset Cliffs in OB 92107 south of the pier. Curb tag at Sunset Cliffs Blvd referring to the street by the name it was given in 1900. Probably referring to the author of 'Robinson Crusoe' Daniel Defoe. The Board of Delegates chose to establish it as being spelled with a capital F. The name was changed to the present day one in 1927. 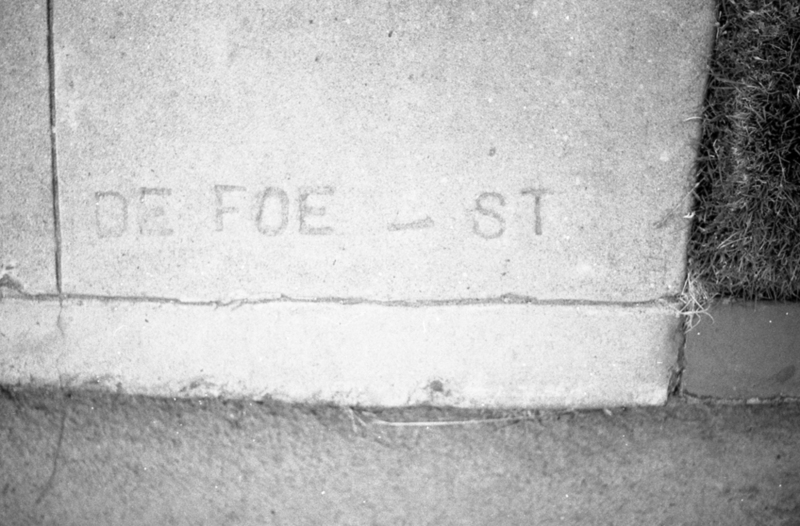 Signature stamp of a sidewalk concrete manufacturer in the early twentieth century in Ocean Beach, California.